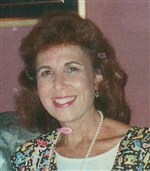 Mary Weitz Friedman died February 5, 2019 surrounded by her family. She was born in Savannah GA on September 6, 1931 to Lena and Isadore Weitz. She and her older sister, Elizabeth, grew up in Savannah. Mary was a student of Savannah’s public school systems including Savannah High School. She received her associates degree from Armstrong Junior College, graduating with honors. Mary married her childhood sweetheart, Erwin (Ernie) Friedman, in September 1951 and was happily married for 62 years. The military and graduate school took the couple to New York City and Augusta and Atlanta GA until they decided to make their home in Savannah, where Ernie practiced law and became a real estate developer. The couple had two children, Stephen and Abby, who live in Savannah and Atlanta, respectively. In Savannah, they maintained and developed a broad network of family and friends and were often at the center of social events. Mary was an active community member, volunteering at several organizations. Much of her volunteer commitment was given to the Agudath Achim synagogue, which she attended, served, and supported for over six decades and who honored her in 2014 for her dedication and leadership. Mary will be remembered by her loving family and many friends whose lives she enhanced with her warmth, graciousness, and generosity. She was the city of Savannah’s favorite fan, encouraging everyone she met to visit the city and enjoy its rich culture and beauty. Mary is survived by her two children, Stephen and Abby, their spouses, Annette and Harry, her five grandchildren and grandchildren-in-laws, Isaac, Maddie, Eli, Aaron, Alexandra, Halle, Alex, and one great-grandchild, Malia. The funeral service will be held at 1 o’clock Thursday afternoon in the chapel of Gamble Funeral Service conducted by Rabbi Steven B. Henkin. Interment will be in Bonaventure Cemetery. Those who wish to remember Mary with a contribution are asked to consider The Backpack Buddy Program at Congregation Agudath Achim – 9 Lee Boulevard, Savannah Georgia 31405. We are sorry to learn of Mary’s passing. She was a special person and we feel fortunate to have known her. May her memory be a blessing. Mary was(and still represents) the epitome of grace and first class style! The primary loves and focuses of Marys life were family and friends,Armstrong College, historical Savannah and baseball! We definitely miss this precious lady! With thoughts to the family! Mary Friedman was one of the nicest, sweetest people I ever met. When I joined Friedman, Haslam and Weiner in 1981 she treated my wife Carol and me like family. We will miss this wonderful lady but will always remember her kindness.